This year I paid a little more attention to what was going on with the National Book Award than I usually do, posting the longlist and finalists for young people's literature. 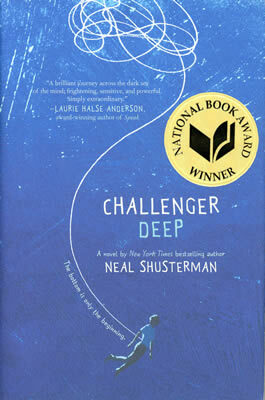 Last night Neal Shusterman won in that category for Challenger Deep. The news broke on Twitter as it was happening. Time Management Tuesday: Got LEGOs? Seriously. Remember That Photo Problem With The Short Story? I Feel Bad About Why I Liked "Bamboo People"